The Internet’s routing foundation has cracks, and they’re growing. Not a single day goes by without dozens of incidents affecting the routing system. Route hijacking, route leaks, IP address spoofing, and other harmful activities can lead to DDoS attacks, traffic inspection, lost revenue, reputational damage, and more. These incidents are global in scale, with one operator’s routing problems cascading to impact others. A separate set of Actions applies explicitly to Internet Exchange Points. Please consider implementing the MANRS actions and joining the MANRS community. There are two categories: Network Operators (ISPs) and Internet Exchange Points (IXPs). MANRS requires collaboration among participants and shared responsibility for the global Internet routing system. 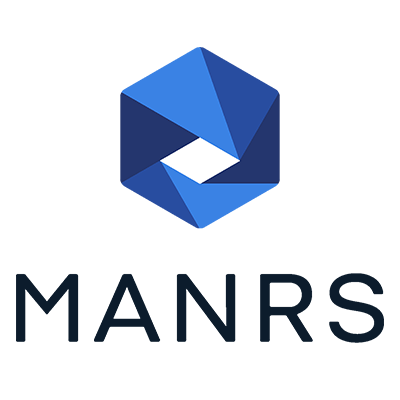 Joining MANRS means joining a community of security-minded organizations committed to making the global routing infrastructure more robust and secure. 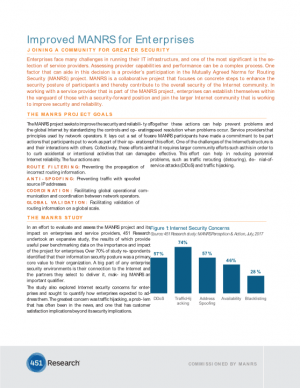 The Mutually Agreed Norms for Routing Security (MANRS) project can provide a mark of security proficiency and community involvement for those providers that are able to participate. That distinction can add competitive value to a provider and can also enhance operational effectiveness. A new study from 451 Research has detailed what that value is and how service providers can put it to work. Enterprises face many challenges in running their IT infrastructure, and one of the most significant is the selection of service providers. In working with a service provider that is part of the MANRS project, enterprises can establish themselves within the vanguard of those with a security-forward position and join the larger Internet community that is working to improve security and reliability. We fully agree with the general guidelines of the MANRS initiative, since we have always ensured our state of the art network follows security best practices. Forthnet believes that improvement of routing security will happen through cooperation and being part of that effort is the right thing to do.